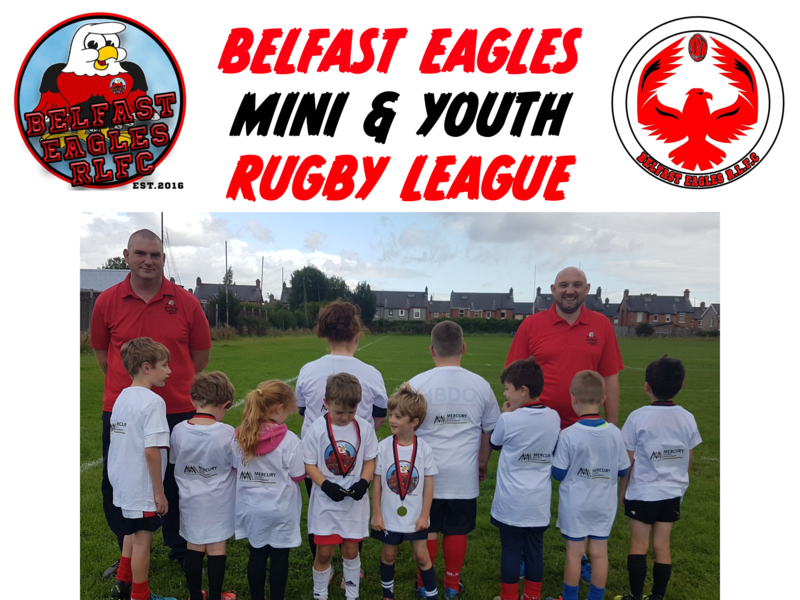 The Belfast Eagles are the first Children's and Youth Club in the Isle of Ireland being formed in 2016 and are determined to grow the players of tomorrow by teaching the skills that will be natural to them by the time they reach Adult age. The brainchild of Peter Robson the club is now approaching its fourth season with Lisa O'Connor, James Small, Mark Fettus and a whole host of supporting elements proving their worth by giving up their own time to coach the children and young people with a real structure who have taken to rugby league. 2016 Seen a half time exhibition to show case their skills during the World Cup Qualifer against Russia at Bray. 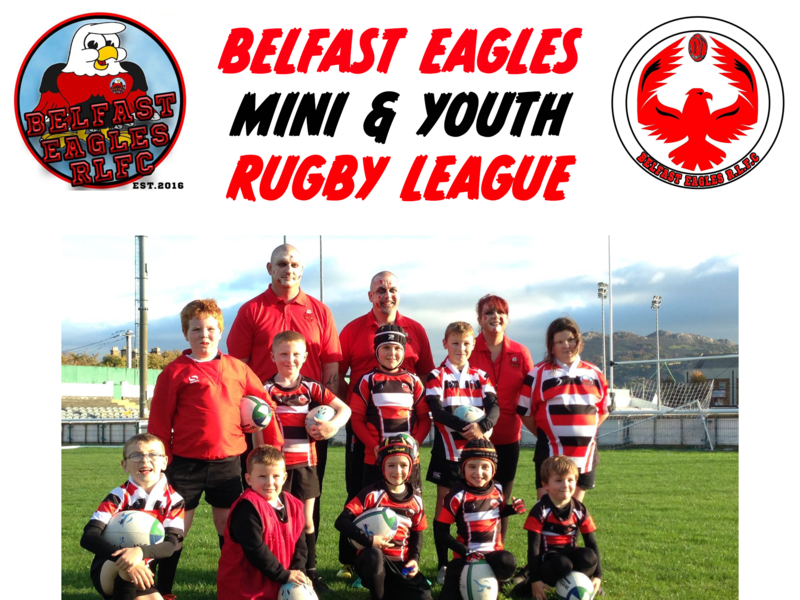 2017 Saw a youth section added and that same year become finalists Rugby League Ulster u14s Nines competition. 2018 Was to see the first Charles Hurst Dacia Cup hosted by the Eagles a great success and learning curve after seeing Orrell St James take the trophy with Salford City Roosters coming a hard fought second. 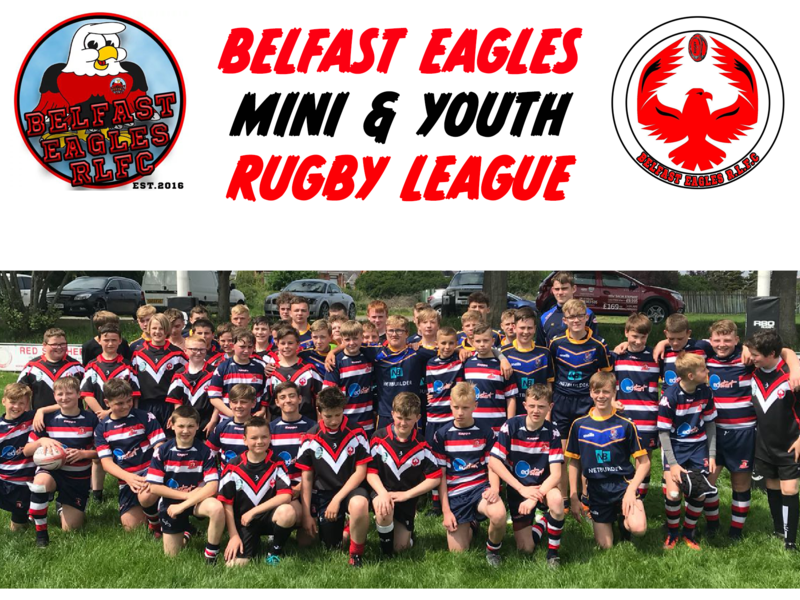 2019 See the second Charles Hurst Dacia Cup with even more clubs and schools wanting to attend this along with a Girls youth section added see the Belfast Eagles continue to grow.